After three weeks, our second session is Cadiz is coming to an end. We still have one more day of classes, but our final exams are completed. For the next day, we can each take a breath and seize the final moments we have here. We each have different priorities as to what we will do. Many will go to beach, some will have their last tapa, as for me, I’ll be heading back to one of my favorite cafes that I have discovered. I’ll sit there and read as people walk by continuing on their daily routines. When I do this, I feel like I am apart of the community. As if I really lived here in Spain. I feel like I am blending into everyone and everything else around me. I’ve noticed that its actually a very Spanish thing to do, people watch. When you are in the square you will see children running and playing as the elderly peacefully watch. I have gotten into a pattern while I have been here. Three weeks seems to be a perfect amount of time to feel utterly immersed in the culture, but still yet so far from it. I’m ready to leave Spain, but also ready to come back again. I think we are each reflecting now on what has this time meant for us. Few have been here solely for the credits, most were here for the experience. For the last week, I personally have been panic struck. I’ve been in Spain for six weeks in two different areas, yet I feel like I do not know enough about Spanish culture or language still. When I left the US, I expected to return with a deep understanding of Spain and Spanish. I forgot that the more you learn, the more you know, the more you know, more you must learn. The view from our classroom. 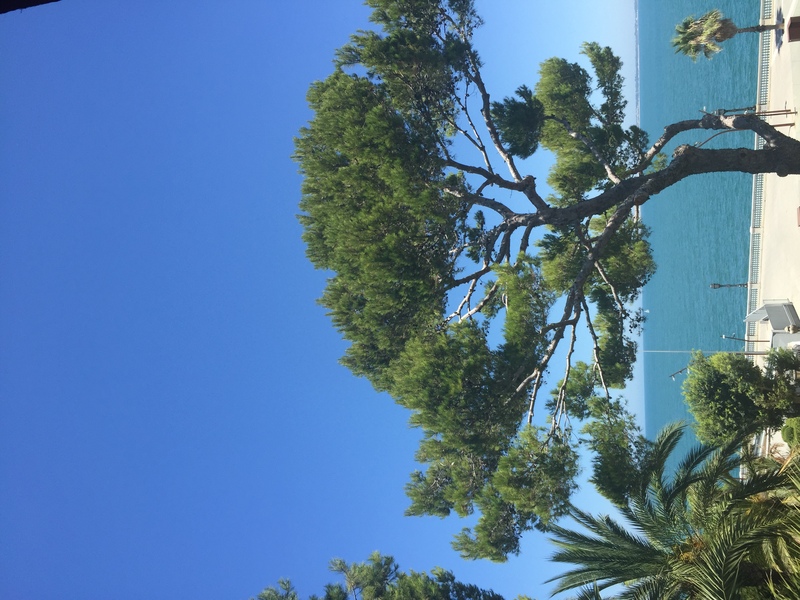 After long discussions with my new friends and teachers I have come to the conclusion that I need to come back, that I need to learn more, and that I love Spanish for more than its convince in the world. I’m not the only one that will be leaving Cadiz with this mindset. Many of my fellow amigos have already started planning a long term trips back to study in Spain. I am so amazed how what can seem like a simple college study abroad program can really change the course of peoples lives. Some in big ways other in small. Thank you Profesora Matz for providing us all with such an amazing program. Each day you helped foster friendships, learning, and exploration between the group. 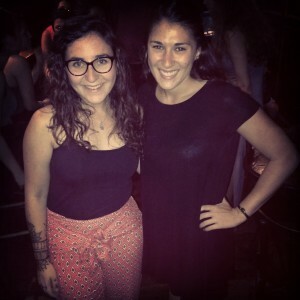 My roommate Jen and I on my last night in Cadiz. I am amazed at how after 5weeks, Spanish cities still are able to captivate me. This weekend we spent about four hours traveling from Cadiz in the city of Granada. Before leaving Cadiz, I had spoken to many people who said Granada is their favorite city. After doing some research on the history, food, and people I had high expectations for the city. After a long, windy, and beautiful bus ride we reached in Granada around 2:45pm. Although we had only been on the bus, most of us were exhausted. We took a short siesta in the hotel, mainly poolside. Around 4pm, we ventured out into the city of Granada. As a group, we toured through the city, along with a wonderful guide. He explained the historical significance of many areas in the city including the cathedral, the Moroccan market, and the Arabic area. The cathedral was massive and was in actually three different buildings. To my surprise, in the cathedral were the tombs of King Ferdinand and Queen Isabella. This underlined the great historical significance of this city. I was shocked by the overall beauty and energy that surged through the city. Whether I was looking at solid gold master pieces in the cathedral or the people relaxing with a drink and a tapa, I knew that this was not going to be a boring weekend in Granada. Once the tour finished, together with a few friends, I went back to the Moroccan market to explore. 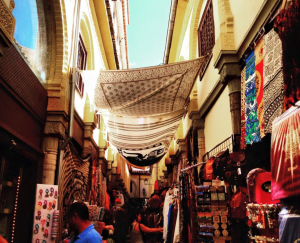 I was brought back to summers in Israel, in the open air markets, haggling, searching, and feeling utterly overwhelmed. There was so much to look at! Beautiful things were everywhere in sight. After the market, we went back to the Arabic area. I bought a dress and had a Moroccan woman put henna on my arm. For the hour or two that I spent in those two areas, I felt like I had been taken from Spain and brought to Morocco. Now it was time for dinner, which meant time for tapas. I was so excited to try tapas in Granada, because I knew that with a purchase of a drink they would bring out a tapa to match. Although I knew this, I was still shocked when it happened. By the time I had finished with my tapas there wasn’t even a need to really order a meal, but for the sake of delicious Spanish food, it was my duty to have more. We all quickly ran back to the hotel to meet with the group. We would be going to a Flamenco show. While in Cadiz, we had gone to a flamenco class and talked extensively about it in class. However it had never occurred to me that there are different types of flamenco. 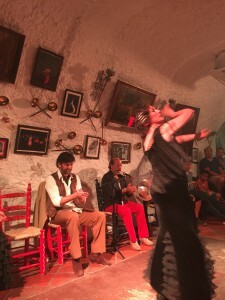 The flamenco in Granada was very different than the flamenco in Cadiz. 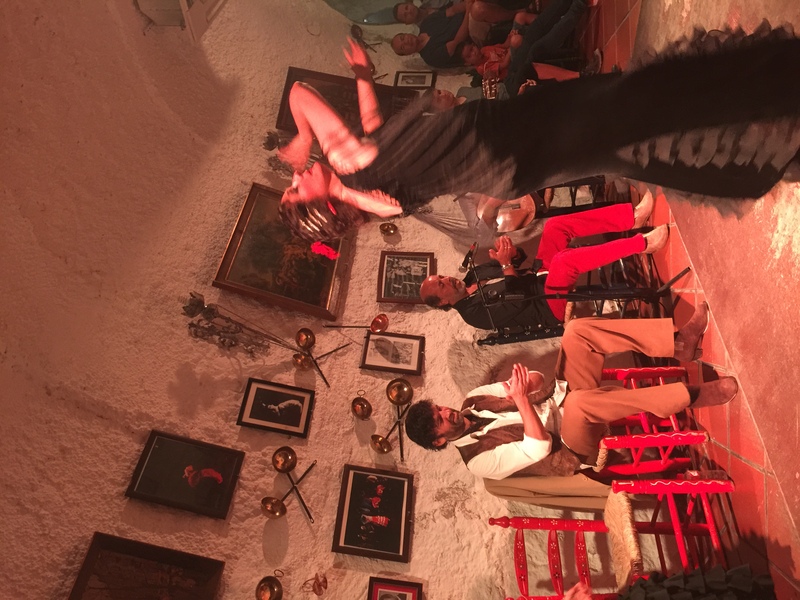 My observations were that flamenco in Granada was more staged, dramatic, and had a stronger focus on dancing. 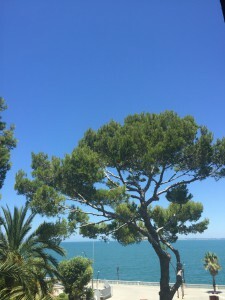 While in Cadiz, it is much more toned down, very serious, and filled with emotion. A group of five people preformed for us; It was an intimate venue and the performers were feeding off of our enthusiasm. Around 12:30am were headed back to the hotel. After an exhausting, busy, and wonderful day, I laid to rest in an air conditioned room for the first time in 5weeks.